Julie is the Vice President and General Manager in the Global Commercial Payments organization at American Express. Global Commercial Payments is devoted to serving small, mid-size, large and global companies around the world. As the VP/GM of the US Client Group, Julie is responsible for phone-based commercial acquisition and account development for US small and mid-size businesses.She joined American Express in 2007 and has held a variety of leadership positions in consulting, sales, global business transformation, re-engineering and servicing across the card and travel businesses. Prior to AMEX, Julie worked for 10-years at Intel Corporation in operations, human resources, and Supply Chain Management. Julie currently sits on the Board of Directors for Fresh Start Women’s Foundation in Phoenix, a nonprofit organization that provides education, resources and support for women to positively transform their lives and strengthen their financial self-sufficiency. She earned her MBA from Thunderbird School of Global Management and a Bachelor of Arts in Public Relations and Communications from Carroll College in Montana. Successive waves of disruption across industries and constant change means opportunity. We’ve entered a new era where truth isn’t subjective, but collective — where radical transparency is uprooting how we interact, transact and drive growth. Leading organizations and consortia across industries are rapidly unleashing the exponential business value of blockchain. More than a new technology, it’s a whole new playing field. In this session, we will explore the creative ways blockchain is being applied across industries, and across value chains — such as how in partnership with IBM, food providers like Walmart are using blockchain to improve food safety, and global shipping giants like Maersk are breaking down barriers to digitize the supply chain. Jason Kelley leads IBM Global Blockchain Services, working with client organizations and consortia to unleash the exponential business value of blockchain technologies and reinvented business process. His teams provide the thought leadership and consultive capabilities needed to help design, develop and rapidly adopt digital ledgers, digital identity, and trust and transparency with IBM Blockchain offerings and solutions. Prior to this assuming his current role, Jason led IBM Global Business Services Solutions, Design and Innovation, helping clients transform to differentiate and lead in the market through digital reinvention, applying IBM Design Thinking and the application of agile, DevOps and innovative technology. His teams bring endless energy, creativity and outcomes for IBM clients around the world, delivering unique business capability with the marriage of analytics, automation/robotics, IBM Watson and cloud technologies. Jason also served as IBM Chief Technology Officer and design leader for IBM Business Process Outsourcing, and previously managed IBM’s analytics business in North America, China and Asia Pacific. He has also led initiatives in IBM Software Group, IBM Global Technology Services, and Sales and Distribution units across industries. With 13 years of military service as an Army Airborne Ranger, Jason values integrity, leadership, and loyalty, and proudly serves on the Board of Directors for the Corporate America Supports You (CASY) organization and the Military Spouse Corporate Career Network. Both of these national nonprofits offer employment assistance for current and former military personnel and their spouses. A graduate of the U.S. Military Academy at West Point, Jason also earned an MBA from the Cox School of Business at Southern Methodist University, with a concentration in Technology and Entrepreneurship. Jason contributes to IBM’s ongoing leadership in patents as the holder of three U.S. Patents, with others pending. In the Fall of 2016, Charlie launched Tech2025 to educate entrepreneurs and consumers on the next wave of disruptive, emerging technologies that are expected to drastically change our world in the next decade (AI, machine learning, driverless vehicles, IoT, blockchain, VR, etc. ), through live-events and interactive workshops with industry experts. The mission of Tech2025 is to help entrepreneurs and the general public to understand and embrace emerging technologies. Create the future, or it will be created for you. Easier said than done. According to research, people around the world (and especially millennials) fear the future and the acceleration of technological innovation now, more than ever before. Our collective chronophobia (fear of the future and the passage of time) is less about our anxieties about technology destroying civilization, and is more about our acknowledging our weaknesses, letting go of old ideas and systems that strangle our creativity, and embracing our true potential. As a society, when it comes to facing our fear of emerging technologies and the future, there’s not just one elephant in the room, there’s an entire herd of elephants waiting to be addressed, and we seem to be ignoring them all (potentially at a great cost). Looking at the disruptive technologies that will usher in a new era of engagement and services, what is it that we really fear and how can we create a pervasive “culture of constructive confrontation” to push beyond restrictive “business as usual” practices and ways of thinking? And how can we help consumers embrace (instead of fear) the future through engagement with new technologies? More than a challenge, this is a tremendous opportunity for everyone. Emerging technologies are rapidly changing the nature of work and service delivery across industries. This presentation will focus on the importance of staying open to the possibility of both disruption and opportunity. This presentation will also highlight how data and the smart integration of technology can fuel service enhancements, new product development and overall customer value creation. 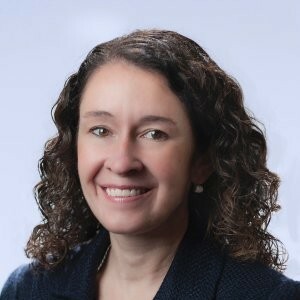 Sherry Sanger is Senior Vice President of Marketing for Penske Truck Leasing, a leader in transportation and logistics with a fleet of more than 270,000 vehicles and a workforce of more than 33,000 people worldwide. 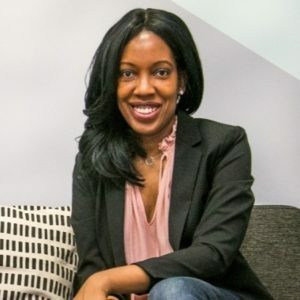 She leads Penske’s global marketing function, including: strategic marketing, market research, promotional activities, and interactive marketing. 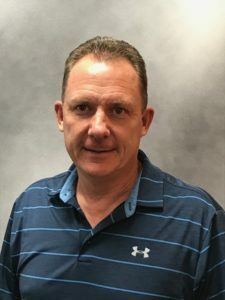 Sanger joined Penske in 1998 and has held numerous leadership positions, including: Vice President of Marketing, Director of Marketing, and New Products Introduction Manager. 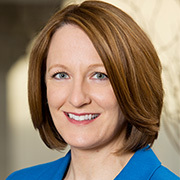 Sanger began her career with General Electric’s Lighting and Capital divisions in their financial management program. While with GE she worked in financial, cost and marketing roles in the U.S. and Germany.She holds a bachelor’s degree in German from Kent State University, a master’s degree in international management from the Thunderbird School of Global Management, an MBA from Case Western Reserve University, and a Ph.D. in management from Case Western Reserve University. She resides in Sinking Spring, Pa., with her husband and their two children. Steve Carani is the Edward Jones principal responsible for the performance of the Service division, including Branch Team support, Tailored Services Support, and the Service Insights Group to help branch teams better serve clients. 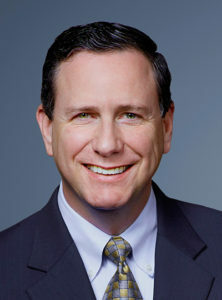 He is a member of the Management Committee.Carani began his Edward Jones career in 1992 as a branch office specialist. The following year, he became a financial advisor and opened an office in St. Louis. During his time as a financial advisor, Carani served in several regional leadership roles, completed three asset-sharing programs and attended 11 Managing Partner’s Conferences. 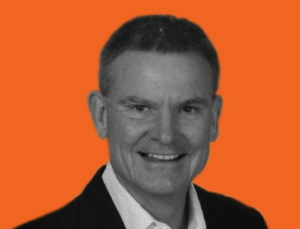 He was named an Edward Jones limited partner in 1998, a regional leader in 1999, and a principal in 2003. In 2010, he relocated to the firm’s headquarters to serve as an area leader in Branch and Region Development, where he oversaw the growth, health and leadership development of financial advisors in Missouri and Kansas, and led an initiative to support field-based area leaders. In fall 2013, Carani transitioned to the Service division to lead Client Support. He assumed his current responsibilities in 2016. Originally from Libertyville, Ill., Carani is a graduate of Bradley University and of the University of Pennsylvania Wharton School’s Securities Industry Institute and earned his MBA from Kellogg School of Management at Northwestern University. Author of, I Love You More Than My Dog, Chief Customer Officer, Chief Customer Officer 2.0, and Would You Do That To Your Mother? In her keynote, Bliss offers a five-step plan for evaluating your current behaviors and implementing actions at every level of the organization. And delivers behaviors of companies who excel at living their core values, grounded in what we all learned as kids. Step 5. Stop the Shenanigans – Are you taking “Make Mom Proud” behaviors today? 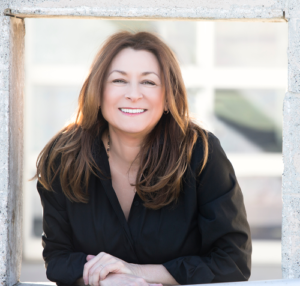 Jeanne Bliss is the Founder and President of CustomerBliss, and the Co-Founder of The Customer Experience Professionals Association.She is one of the foremost experts on customer-centric leadership and the role of the Chief Customer Officer. A consultant and thought leader, Jeanne Bliss guides C-Suite and Chief Customer Officer clients around the world toward earning the right to business growth and prosperity, by improving customers’ lives.Jeanne Bliss pioneered the role of the Chief Customer Officer, holding the first ever CCO role at Lands’ End, Microsoft, Coldwell Banker and Allstate Corporations. Reporting to each company’s CEO, she moved the customer to the strategic agenda, redirecting priorities to create transformational changes to each brands’ customer experience. She has driven achievement of 95 percent loyalty rates, improving customer experiences across 50,000-person organizations. In the aerospace sector, both commercial and government customers need the highest levels of service to keep their operations running safely and efficiently. In this session, hear how a service culture mindset helped a world leader in engineering and manufacturing – both of which operate in months and years – launch a dedicated services business that must have a minutes-and-hours mentality. Prior to this assignment, Dolanski was president of the Global Services & Support business unit within Defense, Space & Security. In this role, he led a team of more than 13,000 employees in 295 locations. Before this, he was president and chief executive officer of Aviall, a Dallas-based Boeing subsidiary that is the world’s largest provider of new aviation parts and related aftermarket services. We all know service culture is no accident. It comes from intentional, disciplined, and consistent effort over time. It comes from setting an unwavering example from the very top. Culture is what makes top service brands excel year after year. In this session you will learn how to hire, train, motivate, and lead your employees to bring out the best possible interactions with both internal and external customers. Michael Mokwa is Department Chair, Faculty Director of ASU’s acclaimed MBA Sports Business Program, and the Pat Tillman Foundation Distinguished Professor in Leadership and Marketing. His research interests include Strategic Marketing, Strategic Management and Sports Business. He has published articles in the Journal of Marketing, the Journal of Business Research, Journal of Retailing, Journal of the Academy of Marketing Science, Journal of Marketing Education, and other business journals. Mike Bolland started his career at Discount Tire in 1992. Like many people within the organization, he started changing tires and helping customers at company store locations. In 1998, Mike transferred to what was at the time the traditional mail order side of Discount Tire, Discount Tire Direct. There he helped customers over the phone, both with fitment questions that led to sales and other customer experience issues. He was in that role only a short time, because within a year he was asked to be on the team that started web initiatives for Discount Tire. It was then he led his first big project – the first Discount Tire intranet site.Over the course of the next sixteen years, Mike rose from web designer to Director of eBusiness. There he introduced many features which are now long standing Discount Tire properties: the first web to store ordering system, the first online customer appointment setting system, Live Chat and more. In 2008, Mike brought Digital Media in house, saving money and creating efficiencies within the channel. 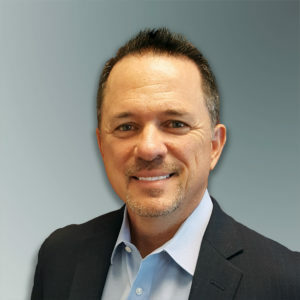 In 2009, Mike started Social Media for Discount Tire, signing up for the popular social sites at the time and personally answering customer questions through the channel.In 2016, Discount Tire saw the need for a customer experience and insights business unit within the organization and tapped Mike to start it. Since 2016, Mike has introduced many tools that are now an integral part of customer understanding. Examples include the Customer Advisory Board, which is comprised of 5,000 Discount Tire customers who share their perspectives, and an enterprise Voice of Customer platform. Outside of Discount Tire, Mike enjoys time with his family; his wife Trish and his daughters Sabrina and Brianna. He played the part of “Danny” in the 1974 movie “The Trial of Billy Jack“, and in 1990, he became the first one-handed bowler to join the Professional Bowlers Association and participate on tour. He owns three patents for a product that is the backbone to the company he owns. He is also a cancer survivor, and uses his life experiences for his new endeavor into standup comedy. Bernard “Bernie” J. Clark is head of Schwab Advisor Services and a member of Charles Schwab’s Executive Committee. He oversees the business that provides custodial, operational and trading support to over 7,500 independent investment advisory firms with $1.35 trillion in assets under management. In addition to custody services, Schwab Advisor Services provides practice management and consultative support to help independent advisors start, build and grow their firms. A recognized industry leader, he has been named by Investment Advisor magazine as one of the “IA 25,” which annually ranks the 25 most influential people in the industry.Clark has more than 30 years of financial industry experience serving individual and institutional investors. He began his career at Schwab in 1998 as senior vice president of trading and operations for Schwab Institutional. He later worked on the retail business as leader of the client services organization, before returning to the advisor business to lead the sales and relationship management organization. He took on his current role as head of Schwab Advisor Services in 2010.Prior to joining Schwab, Clark was with the London office of Deutsche Morgan Grenfell. There he held the position of managing director in charge of global sales support, hedge fund operations and technology, including managing client service support in Asia, Europe and the U.S. He also spent 13 years with Salomon Brothers as a member of the executive committee responsible for North American operations. Clark serves on the board of the Foundation for Financial Planning and the Arizona State University W.P. Carey School of Business, Center for Services Leadership. 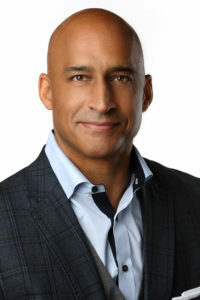 He is very involved in organizations in the Phoenix area, including serving as president of the Saguaro High School Football Foundation and as an active supporter of the Phoenix Children’s Hospital.Clark earned his Bachelor of Science degree in accounting from St. John’s University in New York. Mustaqeem Siddiqui is a practicing hematologist/oncologist at the Mayo Clinic in Rochester, MN, and his specialty is blood cancers. He has been at Mayo for the past 14 years. 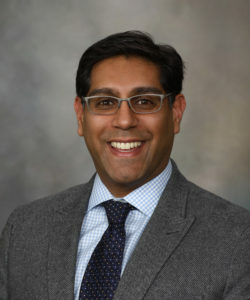 Administratively, Mustaqeem is the Enterprise Medical Director for Patient Experience Training, Education, and Coaching – a group that focuses on communication and service training for all Mayo Clinic employees. Mustaqeem is also site medical director for the outpatient practice at Mayo’s Rochester site. Mustaqeem’s previous roles at Mayo include Medical Director of New Product Development and Launch in Mayo’s Global Business Solutions unit, and Director of Business Development and Venture formation at Mayo’s Center for Innovation. In addition to his medical training at Mayo Clinic, Mustaqeem also holds an MBA from the University of Chicago Booth School of Business, focusing on entrepreneurship, finance, and strategy. 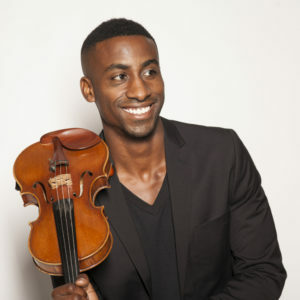 “The world is in dire need of fresh ideas that are delivered with passion.” As a classical violinist turned innovative composer, Kai Kight uses music as a metaphor to inspire individuals and organizations across the world to compose paths of imagination and fulfillment. Kai is on a mission to spark a global mindset shift in which ingenuity is the norm, not the exception. In this unique and powerful presentation, Kai performs mesmerizing original music and vulnerably shares stories from his own transformation as an artist. Kai translates these insights into takeaways that audiences can easily infuse into their own lives and work environments. The Drucker Corporate Rankings form the basis of the Management Top 250 list in the Wall Street Journal. The Drucker Institute developed this holistic company ranking based on the principles of its founder Peter F. Drucker, using data from a wide range of providers. The rankings integrate five dimensions of corporate performance: Customer Satisfaction, Employee Engagement and Development, Innovation, Social Responsibility and Financial Strength. The presentation will cover the inspiration for the project, its conceptual and data science underpinnings, key results from 2017, managerial learnings, interdisciplinary work underway, and enhancements to the 2018 rankings due out in December. The 2018 Compete Through Service Symposium’s program lineup has been finalized. Do you have speaker ideas or a speaker recommendation for the 2019 Symposium? We’d love to hear from you! Please click on the link below to fill out the form and we will be in touch regarding future speaking availability.